If it’s the all-American sports car experience you’re looking for, a 2017 Chevy Corvette in Naperville, IL will scratch that itch – no problem. The Corvette remains one of the most iconic sports cars ever produced, and both the sales and popularity of this vehicle are still going strong. The Corvette boasts more models than ever and that diversity means the Corvette is offers something for everyone. The package options are loaded with plenty of extra features if you’re looking to up your Corvette’s “wow factor.” Naturally, the performance is just as legendary as the name, but this Corvette is considered the most advanced and powerful yet. Bottomline: regardless of which model, trim, or packages you choose, you’ll still be getting iconic Corvette performance from the new edition to this legendary lineage. Naturally, you’re wondering what the engine on the 2017 Corvette is: it’s a 6.2-liter V8 engine. Regardless of what trim or model you pick, this is the engine of choice for the Corvette. This engine produces 455 horsepower and 460 lb.-ft. of torque on all models, with the exception of the Z06. On that particular trim, Chevy added a supercharger, bumping both the horsepower and torque output to 650. It is their track-ready version after all, so it needed to get an increase in horsepower if it wanted to compete in the big leagues. But, if you want a bump up in horsepower on the Stingray base model, a performance exhaust is available, increasing output to 460 horsepower. This performance exhaust is standard on the Z51 and Grand Sport models. The standard transmission of choice is a seven-speed manual, with an eight-speed automatic transmission available as an option. A Z51 coupe can do a 0 to 60 mph dash in about 4.1 seconds with a manual transmission. When an automatic is equipped, the time drops down to four seconds flat. The Z06 model with the supercharger and increased horsepower can hit 60 mph in a blazing 3.5-seconds with the manual transmission. For 2017, the Corvette is offered in four different models: the Stingray, Stingray Z51 Grand Sport (new for 2017), and the Z06 supercar. While the Stingray is priced at a lower point than the other two, bumping up to the Grand Sport or Z06 will get you an insane amount of horsepower. Of course, upgrading to either one of them means you’re going to shell out more money. The Stingray, (Stingray) Z51, and Grand Sport are split into three different trim levels: 1LT, 2LT, and 3LT. The Z51 has the same features/upgrades found on the 1LT and 2LT trim levels for the Stingray, but the Z51 1LT trim has some different base equipment. While the Z06 is available in 1LZ, 2LZ and 3LZ sub-trims. Regardless of which model or trim you pick, you’ll be getting a two-seat sport coupe design. Or a convertible – the optional body style on some models. On the 1LT trim for the Stingray, expect standard 18-inch front wheels and 19-inch rear wheels. Brembo brakes are also standard, which is nice given that typically, high-performance brake pads are found on higher-trim levels when it comes to sports cars, or as an available feature, but rarely as a standard choice. Xenon headlights, LED running lights, heated mirrors, leather upholstery, and even dual-zone automatic climate control are all found on the standard trim. You’ll even get Chevy’s 4G LTE data connection and Wi-Fi hotspot capability standard. 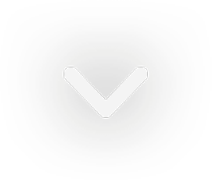 Why are all of these standard features important? Simply because you don’t have to pay extra for any of them. The Z51 1LT trim adds on 19-inch front wheels, and 20-inch rear wheels. Aero trim is available, adding larger brakes with slotted brake rotors, and sportier suspension tuning. Along with an electronic limited-slip differential, differential cooler, dry-sump oiling (for the V8 engine) and a dual-mode performance exhaust. If a manual transmission is equipped, you’ll also get revised transmission gear ratios for more responsive gear shifting. Along with many more standard features found on the 1LT, noteworthy standard features found on the 2LT trim include front-view parking cameras, heated and ventilated seats, driver memory settings, and a 10-speaker Bose sound system with enhanced bass response. The 3LT trim adds premium leather upholstery, synthetic-suede upper interior trim, and a navigation system. That navigation system also includes the Corvette’s performance data recorder, which is a unique feature in the market. New for 2017, the Corvette Grand Sport brings some additional features to the model lineup, mirrors the Z51’s content, but also borrows some of the Z06’s. This creates a more unique Corvette model, one that is further geared towards performance, but not with the full intensity of the Z06. An upgraded cooling system, wider fenders and tires, upgraded suspension components and adaptive dampers are supported by upgraded suspension components and bigger brakes. There are subtle differences in visual appearances between the Grand Sport and Z06 as well, and the trim and rear wing of the Grand Sport is unique-looking compared to the rest of the lineup. 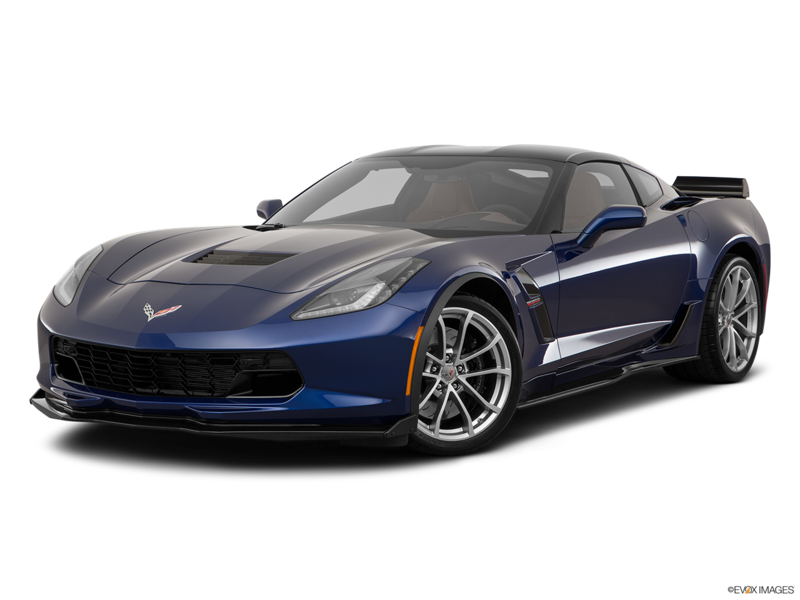 The 1LZ trim for the Corvette Z06 gets the Stingray Z51 1LT’s standard equipment, but adds on a sport-tuned suspension, larger brakes, supercharged engine, wider tires, an aero package, and a carbon-fiber hood. On the inside, you’ll find an upgraded heads-up display. The 2LZ trims get the upgraded additional features found on the 2LT, and the 3LZ gets the 3LT’s upgrades. If you aren’t satisfied with the abundance of standard features found on the Stingray 1LT, there are also plenty of packages you can choose from. This package comes with some dealer-installed accessories, such as the black indoor vehicle cover with a Stingray logo. Wheel center caps with a Stingray logo are also included, along with an underhood liner with the Stingray logo. With this package, you get premium carpeted floor mats, a cargo mat, chrome interior trim badging, custom sill plates, and a floor console lid (leather-wrapped if this package is added to the 3LT trim). Both the exterior appearance and logo packages are available on the Corvette Stingray model. This package will showcase your Corvette’s racing heritage. You’ll get a choice of six fender hash mark colors, interior brushed aluminum hash marks, floor mats with the Grand sport logo, and an optional choice of five center stripe colors. Available on the Grand Sport. If you want more performance-oriented parts on your Grand Sport Corvette, the Z07 performance package is a good choice. If you pick up this package, you’ll get Dark Gray Metallic-painted calipers; Michelin Pilot Sport Cup 2 tires; 4-wheel antilock, 4-wheel disc, carbon-ceramic Brembo brakes, and a Z07 suspension with Magnetic Selective Ride Control. Available on the Grand Sport and Z06 models. When it comes to customer satisfaction and high-quality vehicles, you’ll find no better dealership than a Dan Wolf Automotive Group Dealer like Chevrolet of Naperville. Why? 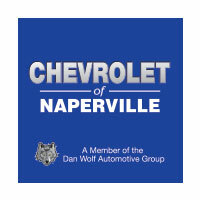 Chevrolet of Naperville carries a torch of tradition that has been blazing since 1971, back when Dan Wolf first founded this group. The tradition is a simple one: always put customers needs first and provide high-quality new and used vehicles. We devote our full attention to every customer and make sure every one leaves with the right type of car at the right price.